We are committed to meeting our clients' needs, whether they are involved in litigation regarding a family law matter or seeking legal representation in the mediation process. We firmly believe that an important part of our work is to provide our clients with a plan for the future that will help them move forward with their lives and will help diffuse the fear and uncertainty of an unknown future after a divorce or other life-changing family law related event. We have the ability to provide legal advice and services in Spanish directly to our clients without the need for an interpreter. We also provide mediation services as Qualified Mediators under Rule 114, Minnesota Rules of General Practice. In our mediation capacity, we work with parties to assist them with reaching agreements themselves. Parties who retain our mediation services can expect to learn and understand the mediation process, to be respected in the process, and to be encouraged to reach agreements that will be workable for both parties and will be durable for years to come. 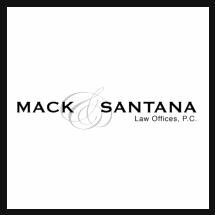 Mack & Santana Law Offices, P.C., practices primarily in the Twin Cities Metropolitan area of Minnesota. (Anoka County, Carver County, Dakota County, Hennepin County, Ramsey County, Scott County, Washington County). However, our attorneys have also appeared in cases in Martin County, Sherburne County, Otter Tail County, Wright County, Isanti County, Itasca County, Meeker County, Stearns County, and Olmsted County, and we are licensed to practice throughout the state.